I have gained over 30 years of experience working as a clinician within the NHS which I believe has given me a wealth of insight in talking to people with specific needs from our relationship. It was also the catalyst for me to change my career path from working with people with physical problems to working in the field of mental well-being. My drive to enter the world of psychological therapies came from different areas of my life: Firstly my own therapy which I underwent for anxiety related to PTSD. This was extremely successful and taught me how powerful the mind is and how it can be unwell or under pressure just like the rest of our body. Secondly was my experience working in a specialist field linked to medicine where up to one-third of our clients’ symptoms could not be medically explained but still left them, quite markedly, in physical and mental distress. With clients undergoing this experience I began to realise that my relationship with my clients was absolutely crucial to the outcome of many treatments I was providing. Work to explore this naturally brought me to the psychological therapies and my journey began. I trained as a therapist at The University of Warwick, first completing a certificate in Introductory Counselling Skills, I then gave up my employment in the NHS and moved on to a degree in Person Centred Counselling, also at Warwick. Additional to this I have completed many hours of private study encompassing a wide range of humanistic approaches to the therapy relationship such as Focusing, Existential Therapy, Gestalt and also Pre-Therapy which is used with hard to reach clients. This gives me access to an eclectic or integrative form of counselling if the client requests or needs a slightly different approach. I am registered with the British Association for Counselling and Psychotherapy (BACP) which provides a framework of ethics and responsibility within which I work. I am also a member of The British Association for the Person Centred Approach (BAPCA) which is my primary approach and the subject of my formal qualification. 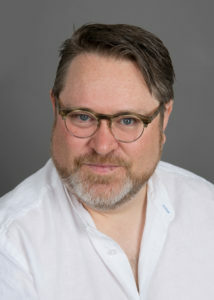 I have experience of working with people with physical disabilities, and life-altering neurological conditions, as well as anxiety, depression, relationship issues, self-esteem, life changes, drug and alcohol issues, issues surrounding sexuality and gender, and a special interest in therapy for performers, working with health anxiety issues and the general painful issues that can arise from the struggles of everyday life.